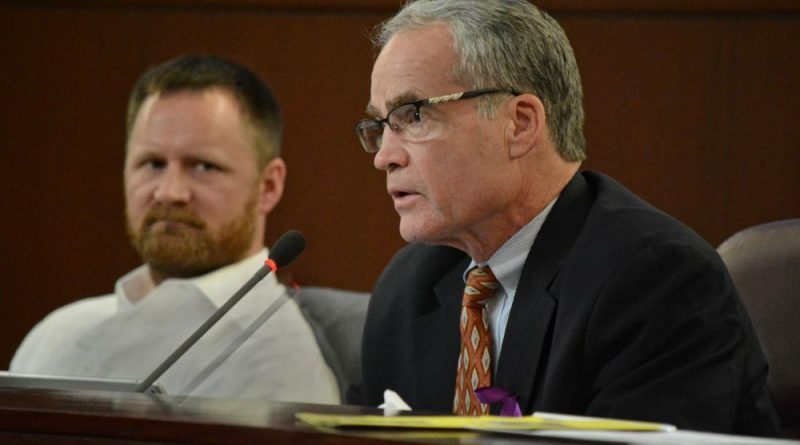 A year and a half into the Envision Loudoun stakeholder committee’s work, the Board of Supervisors is again grappling with that panel’s role in rewriting the county comprehensive plan. Last month, county planners reported to the board that the committee was not ready to make any recommendations, but was mulling over changes to the Transition Policy Area that could allow as many as 18,000 more homes. The possibility of allowing thousands more homes into the buffer area between suburban east and rural west drew a strong rebuke from most supervisors. The stakeholders committee has since delayed a decision on the transition area while county planners gather more information—such as how changes to the increasingly urban east could affect the need for housing in the transition area. Some Envision Loudoun members, including Vice Chairwoman Kathy Blackburn, asked supervisors to “stay in your own lane” while the committee works. At their meeting Wednesday, supervisors were divided on whether that’s what they should be doing. “This is a process that the Board of Supervisors began, this is a process that the Board of Supervisors has to live with, and it’s something that if it isn’t done along the lines of where and how we have recommended it be done, we’ll be left in 2018 basically kind of starting over,” said Supervisor Geary M. Higgins (R-Catoctin). That view was shared by most supervisors. But Supervisor Suzanne M. Volpe (R-Algonkian) said supervisors should leave this phase of the comprehensive plan revision to the stakeholders, mirroring comments on that committee asking members to trust the process. She pointed out that after the stakeholders finish the work, the Planning Commission and Board of Supervisors would each have a change to revise that work. “It’s difficult on these folks who are volunteers— some of them are truly volunteering their time as citizens—so we need to be supportive and encourage them, but let them go through this process,” Volpe said. Blackburn, who asked supervisors to “stay in their own lane,” is Volpe’s appointee to the Planning Commission, where Blackburn also serves as vice chairwoman. The stakeholders committee’s work has already run over schedule, and supervisors added to original workload in June by including planning around the county’s future Metro stops. Supervisors had tried to tackle that planning separately, but were unable to reach a consensus and rolled that work into Envision Loudoun. In response to the increased workload, the committee also spun off three subcommittees, although Supervisor Koran T. Saines (D-Sterling) expressed concern that some of the committee’s nine citizen appointments made by county supervisors are not represented on any of those subcommittees. The committee has also faced persistent internal divisions over its own role and the directions the committee has taken, with outspoken at-large appointee Mike Turner even floating the idea of a minority report, containing dissenting opinions to the committee’s official proposed plan. Committee and staff members plan to come to a decision on the Transition Policy Area at their next meeting on Nov. 20. Fifteen of the 22 members of the Envision Loudoun stakeholders committee are associated with the development industry. All of the members of the subcommittee recommending 18,000 more houses in the Transition area are in the development industry. Suzanne Volpe (who appointed Blackburn) receives a very large proportion of her campaign contributions from the development industry (twice as much, $80,000 so far for the 2019 race), as any other BOS candidate so far. She received a very handsome donation right around the time she named all of the members of the Zoning Ordinance Review Committee, also development industry members, who are hollowing out the current Comprehensive Plan from within. Citizens have stated again and again they do not want the overdevelopment and traffic congestion to continue, and yet the developer-dominated committee continues to push for exactly that. When Blackburn tells Supervisors, who were elected to represent their constituents–to “stay in their own lane,” she–and Volpe–are telling Loudoun County taxpayers to keep their noses out of their own business.